Over the years, increased protection has been provided to general partners by limiting the liability one incurs for the actions of other partners. First, the Limited Liability Partnership (LLP) was created, in which each general partner was protected from personal liability for the acts of each of the other general partners. 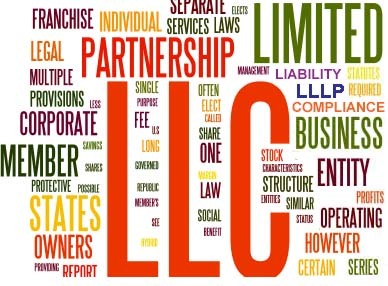 More recently, the Limited Liability Limited Partnership (LLLP) has come into existence. In an LLLP, all partners, not just the limited partners, enjoy protection from personal liability for the acts of the other partners. The limited liability provided to the partners in these entities is much the same as that provided to members of a limited liability company (LLC) or shareholders in a corporation. In states where these types of partnerships are formed, there is often a compliance requirement, meaning that the state requires the periodic filing of a report or other similar document, updating pertinent information about the partnership. The reporting normally requires a fee, which varies significantly across the U.S. Failure to file or pay impacts the partnership’s good standing with the state. Once again, the compliance requirement mimics that of a corporation or LLC – with one additional harsh, and frequently occurring, component: registration renewal. In some states, domestic LLPs and LLLPs are merely “registered” or “authorized” for a finite period of time; most frequently, one year. Without complying with the annual reporting/renewal process, the partnership expires, i.e., ceases to exist. That is not to say that there are not consequences in jurisdictions where the annual reports are simply reports. As with corporations, failing to file an annual report in such a jurisdiction can cause an entity to no longer be in good standing or for the dissolution process to begin. Understanding which jurisdictions follow the “registration renewal” doctrine, versus the more traditional annual reporting procedures, can save an organization’s compliance or legal department much time, money, and frustration. *Montana requires a “renewal” be filed every five years on the anniversary of the entity’s registration. Only a handful of states that have provisions for domestic LLLPs have no compliance requirement with the filing office. With the exception of Montana, which requires renewal only every five years, each of these states has an annual requirement. The due dates for filing reports and paying fees vary significantly from state to state. Some coincide with the anniversary of the filing of the LLLP or LLP with the state office; either the date of filing or within a certain period of time surrounding the anniversary date. Some have a specific deadline for all entities or a date range during which all entities must file and pay. Because failing to file the required reports or to pay the required fees may not only impact a partnership’s standing as a registered business entity, but may even cause it to simply cease to exist, proper knowledge of the requirements is imperative. A partnership’s state filing office website provides a good starting point for rules, regulations, forms, fees and information.